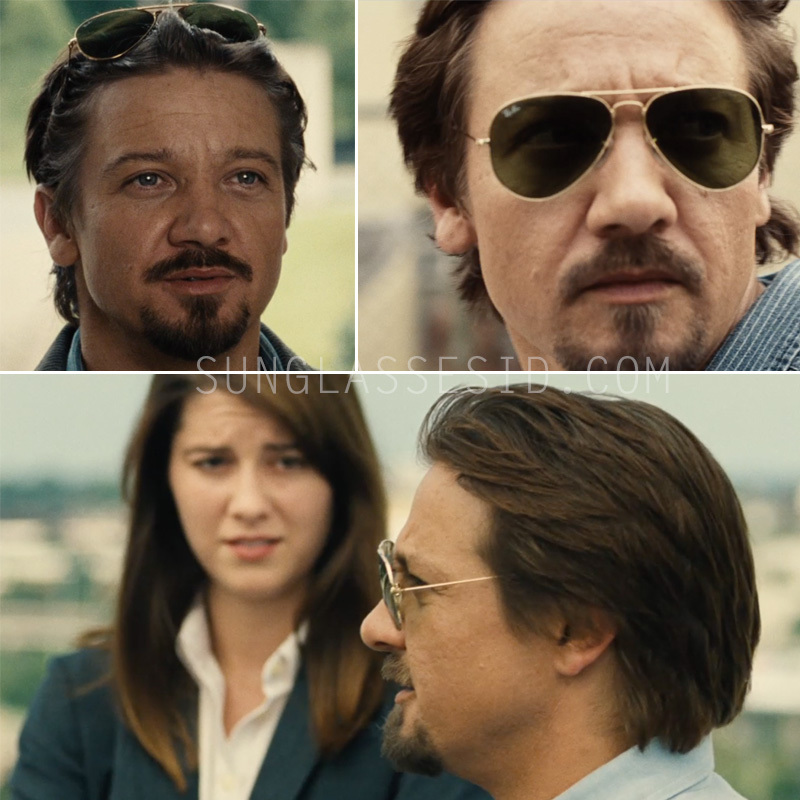 In the 2014 movie Kill The Messenger, actor Jeremy Renner can be spotted in many scenes wearing Ray-Ban 3025 Aviator sunglasses. The frame of the glasses is gold (arista) colored. The glasses are not polarized.